Neither Livia nor I could remember whether we’d ever seen this movie before, and as it turns out, we hadn’t. And that’s fine, because it left us with a good movie to watch for the first time. 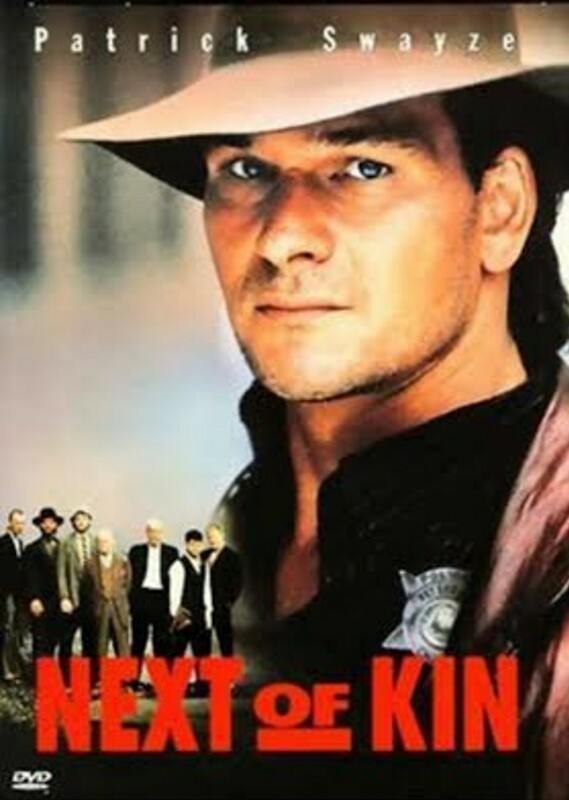 NEXT OF KIN finds Swayze playing Truman Gates, a Chicago cop who hails from the mountains of Kentucky, where he still has a lot of relatives who work in the coal mines there. His younger brother, though, has followed him to Chicago and works for a vending machine company, and not surprisingly, said brother gets killed in a mob takeover of the company. Swayze’s character wants to find the killer and bring him in legally, but his other brother back in the mountains (Liam Neeson) wants to come to Chicago and avenge the death personally, as mountain tradition demands. Naturally this brings him into conflict with Swayze’s character. I’m not sure how we missed this when it came out twenty-six years ago. Most of you probably saw it then. But if you haven’t, it’s well worth investing a couple of hours of your time. 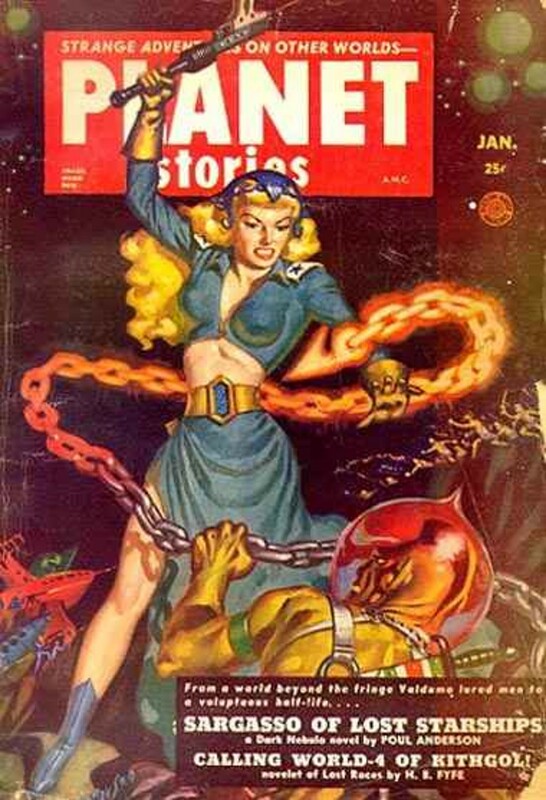 Gotta love those Allen Anderson PLANET STORIES covers, along with titles like "Sargasso of Lost Spaceships", the Poul Anderson (no relation) yarn in this issue. There are also stories by John Jakes (long before he was a bestselling writer of historical sagas), Margaret St. Clair, Bryce Walton, and others. Personally, I really enjoy this sort of adventure science fiction, but I've never been noted for my highbrow tastes. 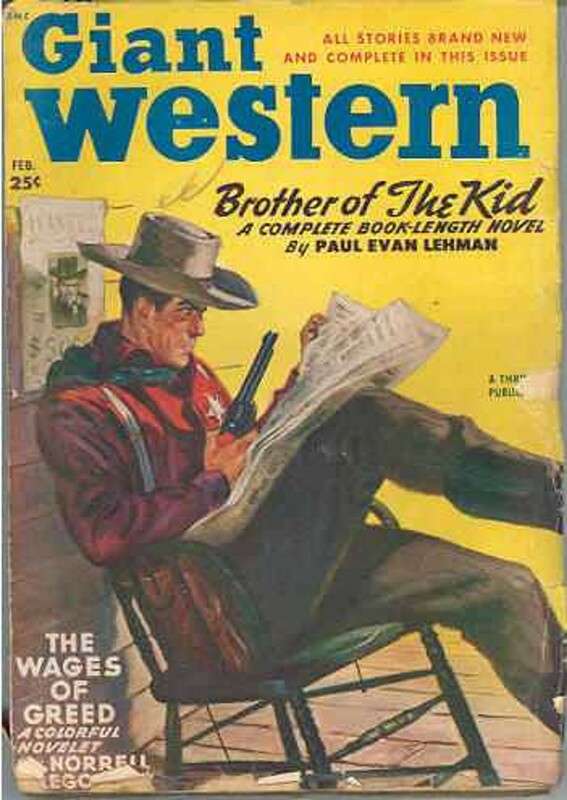 That's a striking cover from one of the leading Western pulps. 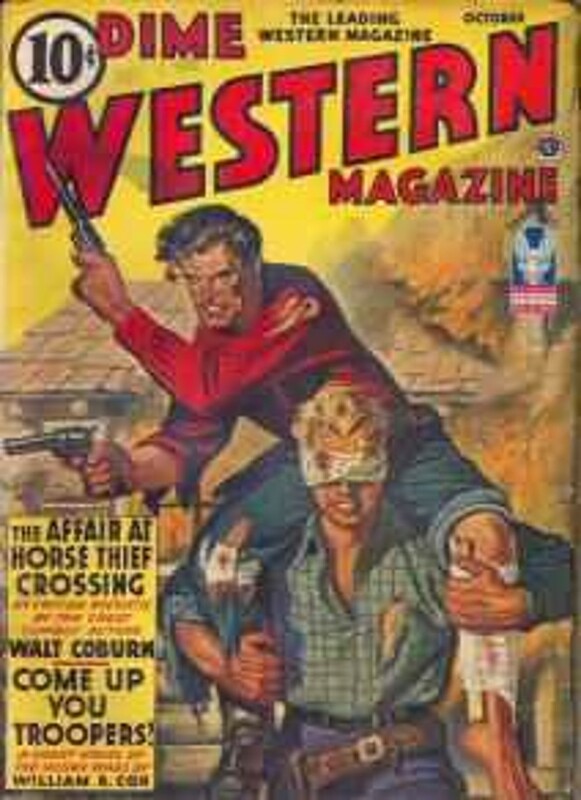 DIME WESTERN always had a great line-up of authors, and this issue is no exception: Walt Coburn, Harry F. Olmsted, Bart Cassidy (who was probably also Harry F. Olmsted), Tom Roan, William R. Cox, and Fred Gipson, who was a prolific contributor to the Western pulps long before he wrote about a dog named Old Yeller. 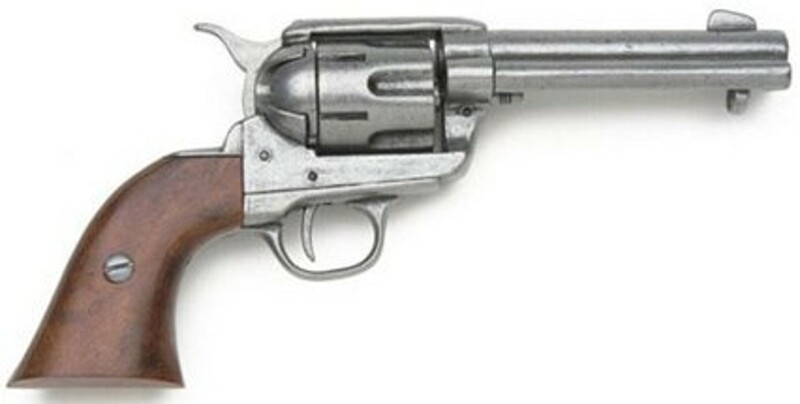 You can't go wrong with DIME WESTERN. 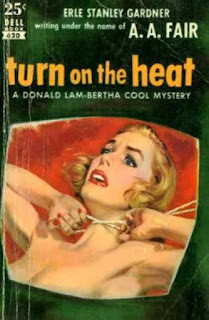 I've been a fan of Erle Stanley Gardner's Donald Lam and Bertha Cool books ever since I picked up a copy of SHILLS CAN'T CASH CHIPS at the bookmobile more than fifty years ago. I've read many (but not all) of the novels since then and still pick one up from time to time. 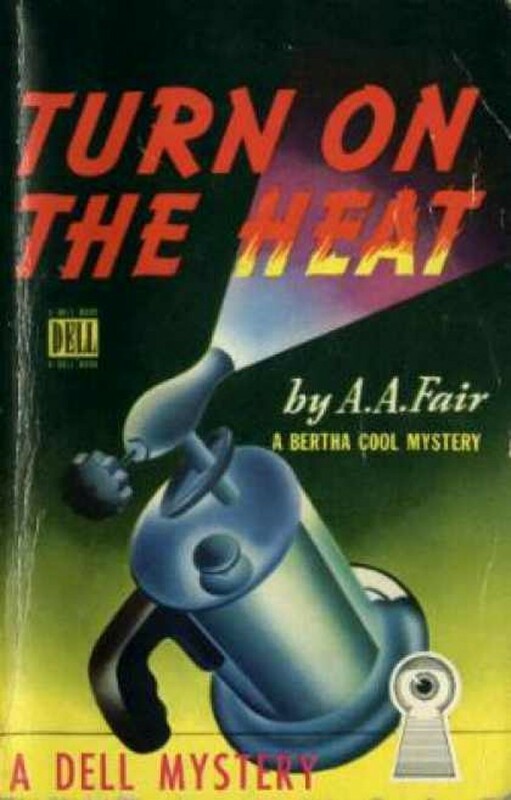 I love the twisty, fast-paced plots, the rat-a-tat-tat dialogue, and most of all the characters of Donald and Bertha. 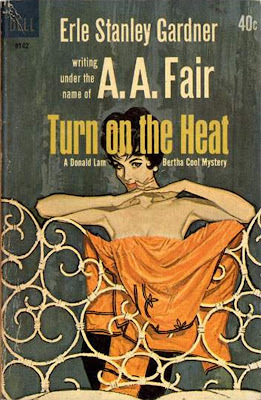 As much as I enjoy Gardner's Perry Mason novels, I think the A.A. Fair books are even better. TURN ON THE HEAT is the second book in the series. I don't think I'd read it before, and if I did, it was many years ago and I didn't remember a thing about it. 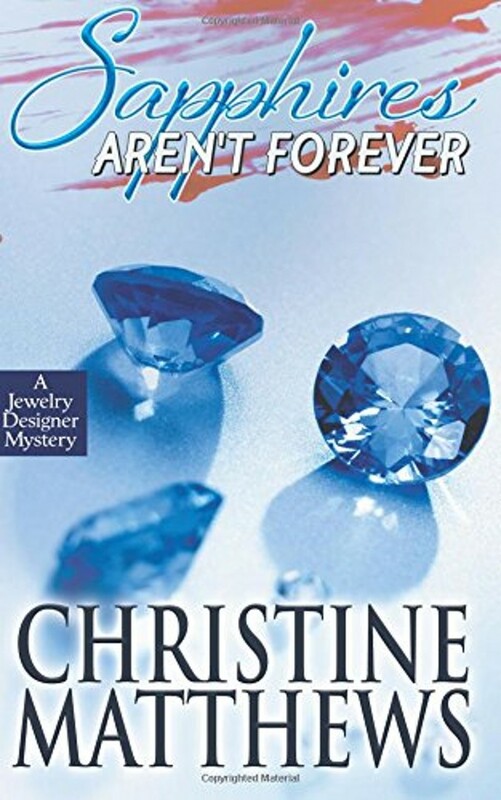 This one begins with Donald and Bertha being hired to find a woman who disappeared more than twenty years earlier, after an ugly divorce case involving her eye doctor husband and his receptionist. 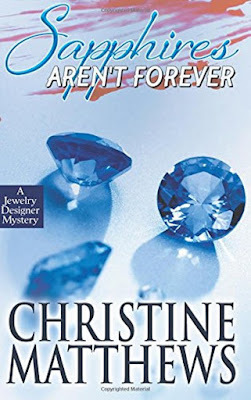 But of course not everything is what it appears to be at first, and soon our two protagonists find themselves neck-deep in a stew of political corruption, crooked cops, shady ladies, blackmail, phony identities, and ultimately murder. Donald has to be his usual tricky self in order to discover the truth and extricate himself and Bertha from the trouble they're in. Although physically they couldn't be much different, Donald Lam always reminds me of Mike Shayne, because he's two steps ahead of everybody else in the book and three steps ahead of the reader. I love the little bits of business he pulls that don't pay off until much later in the book, when you realize that Donald was on the trail of the killer all along. When everything is explained, it all makes perfect sense (usually; Gardner was known to lose track of his plots every now and then), and I'm often left figuratively smacking myself on the forehead and saying, "D'oh!" because I didn't spot the clues. TURN ON THE HEAT is a thoroughly entertaining book and a fine example from one of my favorite series. If you haven't tried any of these (and I know most of you probably have), I highly recommend it. Below are covers from some of the many reprint editions. 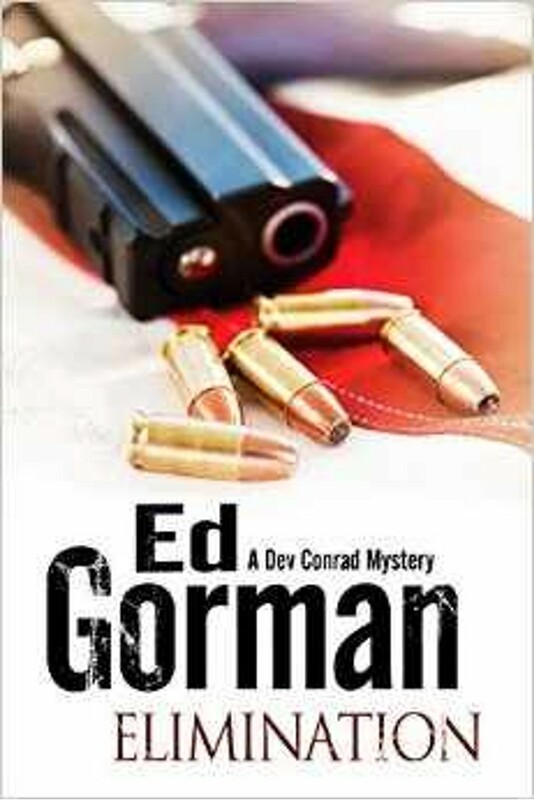 Ed Gorman is one of the few writers for whom I'll waive my "no politics" rule. Well, actually it's not a hard and fast rule, but I do tend to avoid books in which partisan politics plays too big a part. However, there's no way I'm going to miss one of Gorman's Dev Conrad novels, and they all center around election campaigns since that's Dev's business. In the newest book in this series, ELIMINATION, Dev is managing the re-election campaign of an Illinois congresswoman who's running neck and neck with her opponent in the polls. After a debate between the candidates, somebody takes a couple of shots at the congresswoman and gets away. Was it a legitimate but bungled assassination attempt? A stunt staged by one side or the other in an attempt to gain an advantage in the campaign? Dev, a former army investigator, launches his own investigation to find out and soon runs afoul of the local police. Naturally, murder eventually crops up and Dev finds himself in danger more than once, as there's more at stake than just a political campaign. Gorman's prose is as smooth as ever, his characters are compelling, the plot is suitably twisty right to the end, and Dev Conrad is a very likable hero. This is one of my favorite series, and ELIMINATION is a top-notch entry in it. 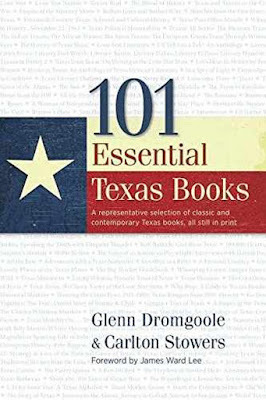 101 ESSENTIAL TEXAS BOOKS is itself an essential book about Texas. 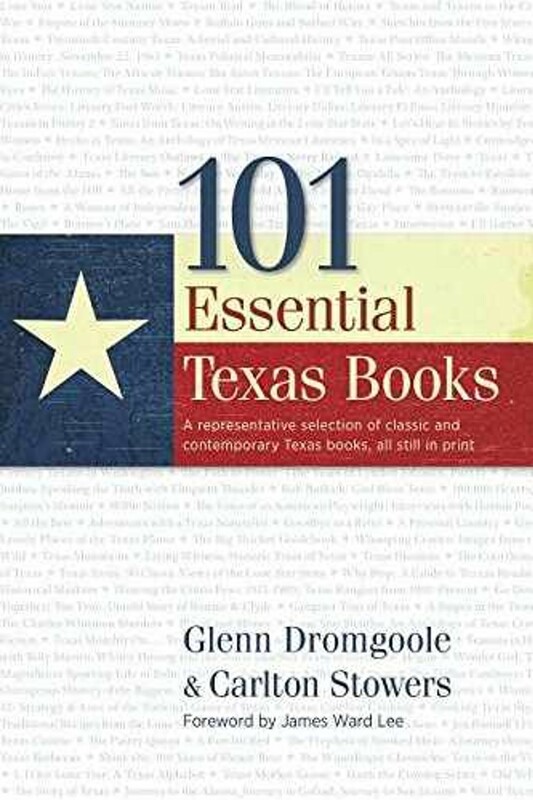 Written by Glenn Dromgoole, whose newspaper columns I used to read when he worked for the Fort Worth Star-Telegram, and my buddy Carlton Stowers, this volume discusses not just the 101 books of the title but many others as well that cover Texas from one end to the other—and that's quite a stretch. Fiction, literature, biographies, politics, oil and cattle, law and order, sports, food and drink, books for young readers, they're all here, with the added bonus that Dromgoole and Stowers set out to write only about books that are currently in print, so if anything here really catches your interest, you can easily pick up a copy and read it. 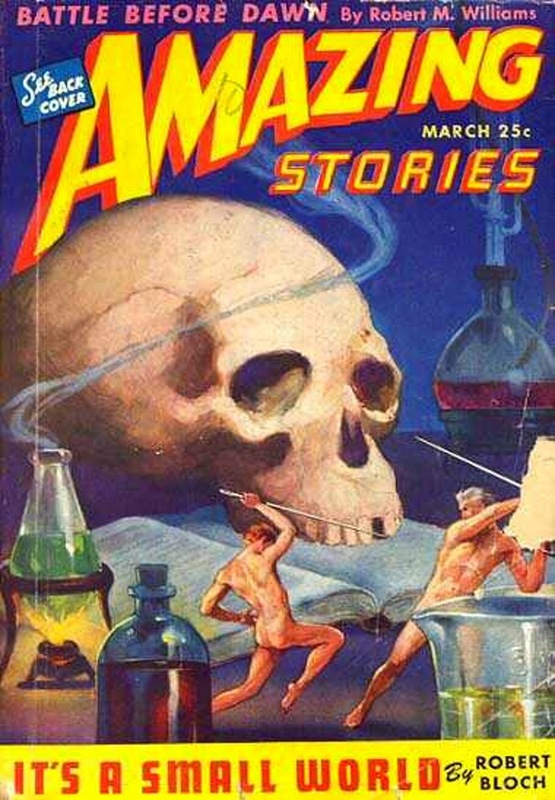 On a personal level, the authors covered include a number of friends past and present such as Elmer Kelton, Bill Crider, Joe Lansdale, Neal Barrett Jr., James Donovan, Sandra Brown, and Jeff Guinn. The foreword is by James Ward Lee. The brief discussions of the books cited (a page or two each) really whetted my appetite to read some of the ones I'd never heard of, as well as books that I've known about for years but never gotten around to reading. I'd really like to start reading more non-fiction, and there's plenty in here to delve into. My only quibble, and it's a slight one, is that the authors didn't include any of their own excellent books, but I suppose I can understand that. If you have any interest at all in Texas literature, 101 ESSENTIAL TEXAS BOOKS is a great introduction to the subject, while at the same time being a very entertaining volume in its own right. Highly recommended. Since we don't have cable TV and I don't really keep up with what's on most of the time, I hadn't heard of this series until Livia bought the first season on DVD, thinking it sounded like something we'd enjoy. Well, I mostly did, with a few reservations. TURN: WASHINGTON'S SPIES is very much what it sounds like, a historical drama series about the formation of the Culper Ring, the espionage network set up by George Washington during the Revolutionary War. Since I covered some of the same ground in my BCI series PATRIOTS, there was an unavoidable feeling of "Been there, wrote that" while watching this series. That's not the fault of the series, of course, but I also felt like the early episodes were very slow to develop and not all that compelling. 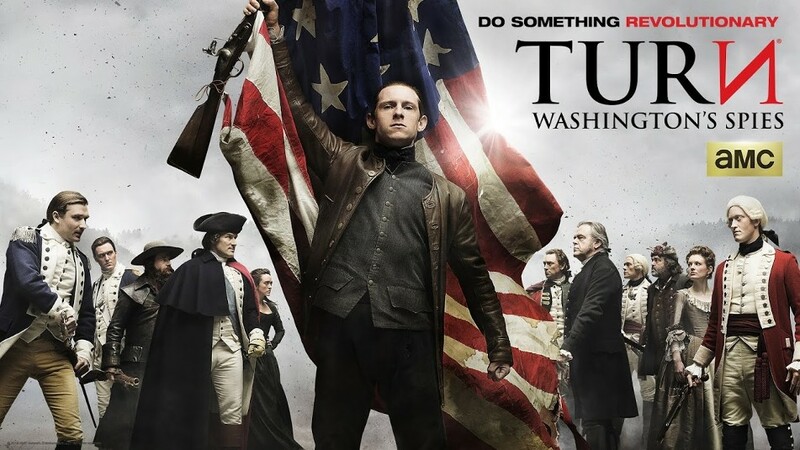 It doesn't help matters that the protagonist, farmer and ostensible Tory loyalist Abraham Woodhull (played by Jamie Bell) is a pretty bland and unlikable character. Things pick up as the series moves along, though, mainly because the villains become more interesting than the heroes. Angus Macfadyen plays Robert Rogers (yeah, the guy from Kenneth Roberts' novel NORTHWEST PASSAGE, played by Spencer Tracy in the movie of the same name), the leader of the Queen's Rangers, as a vengeful, hard-drinking version of Natty Bumppo, complete with Indian sidekick. And Samuel Roukin gives a sneering, hammy, over-the-top performance as the Redcoat captain who's Woodhull's nemesis. Daniel Henshall is pretty good as one of the spies, too. TURN manages to generate a considerable amount of suspense in some of the later episodes, and I wound up enjoying it overall. The history seems reasonably accurate, the production values are excellent, and it's good enough that I'll probably watch the second season when it comes out on DVD, although I won't be waiting impatiently for it. Every time I read one of Peter Brandvold's Sheriff Ben Stillman books, I decide that Stillman is my favorite Brandvold character. Of course, the same thing happens whenever I read one of his Yakima Henry or Gideon Hawk novels. Those characters become my favorite, for the moment, anyway. 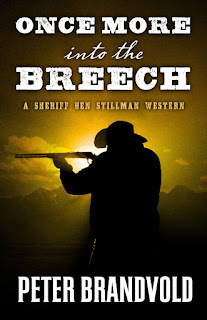 But no doubt about it, Ben Stillman, who has "retired" from a career as a deputy U.S. marshal to become a sheriff in Montana, is a compelling character. 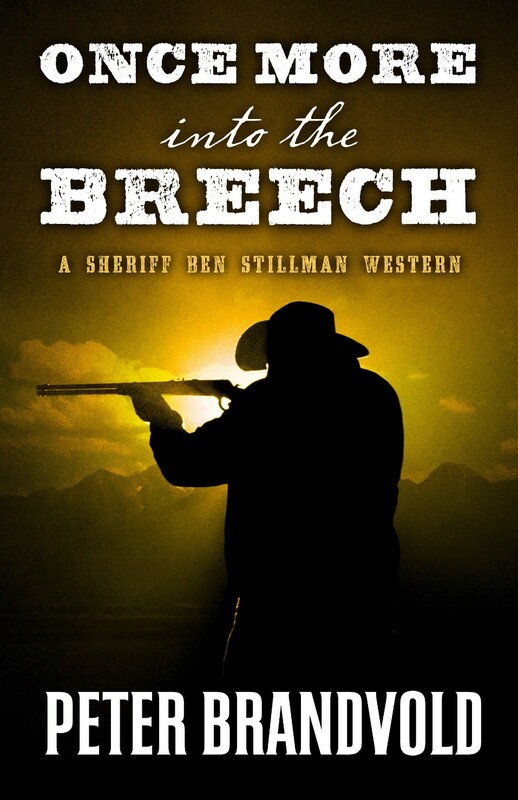 In ONCE MORE INTO THE BREECH, the latest novel to feature him, Stillman has to deal not only with an old enemy who may or may not have come to town to kill him and his wife and infant son, he also has his hands full with a troublemaking young drifter, a beautiful but deadly female outlaw, the gang she double-crossed that's now after her, and a bounty that's been placed on his head. On top of all that, a bullet lodged near his spine from an old injury is causing him problems and threatening to paralyze him, or worse. Ol' Mean Pete really lives up to his nickname in this one, piling troubles on his hero until the reader really starts to doubt whether Stillman will survive. As always, Brandvold is a master at choosing just the right details to make a scene come alive, and he's one of the best at writing gritty, hardboiled action. I had a great time reading ONCE MORE INTO THE BREECH and give it a high recommendation. 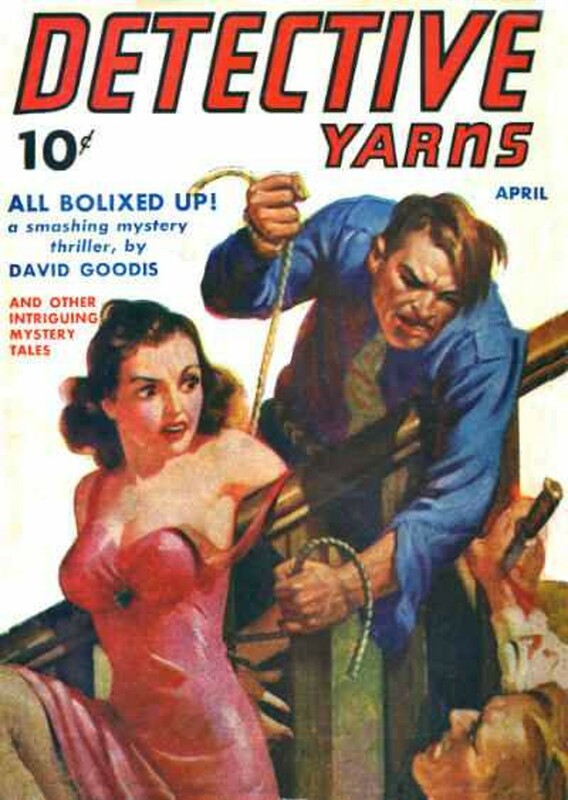 David Goodis is by far the biggest name in this issue of DETECTIVE YARNS, although he wasn't as big a name in 1941 as he was during the 1950s as an author of noir paperback novels. William G. Bogart, who was a solid pulpster and even ghosted some of the Doc Savage novels, is also present, along with J. Lane Linklater and several Columbia Publications house-names. 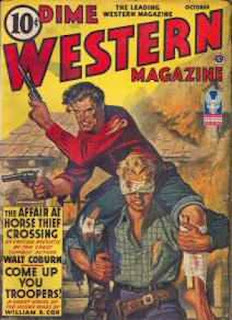 Kind of a tranquil cover by Sam Cherry on this issue of GIANT WESTERN, but I'll bet a hat that trouble is about to break out any minute. I'm sure it does in the stories by Paul Evan Lehman, Leslie Scott (as A. Leslie), Norrell Gregory, Wilbur S. Peacock, Donald Bayne Hobart, and Allan K. Echols. Technically this novel may not be forgotten, since Altus Press just reprinted it as one of the first entries in the Argosy Library, but I think it's safe to say that before that, not many people other than Matt Moring remembered it. 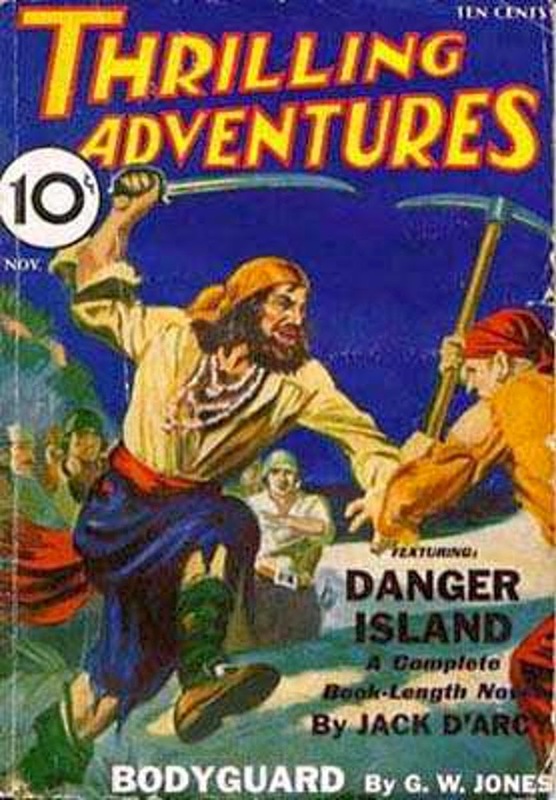 Charles Alden Seltzer is best known as a Western author, but he wrote other sorts of adventure fiction, too. 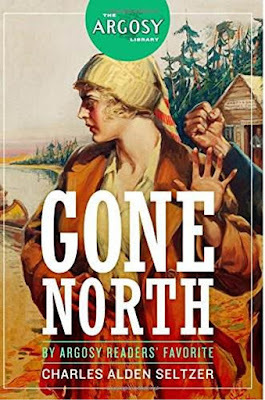 GONE NORTH, as its title implies, is a Northern, since it takes place in Canada's Great North Woods, but it doesn't have Mounties or snowstorms or dogsleds or many of the other trappings we associate with that genre. It does, however, have a varied cast of characters after a fortune in gold. What else does it have, you ask? Well, how about a great stone castle in the middle of the woods, complete with towers and cannon and secret passages, populated by bloodthirsty pirates (the sea-going kind, who have moved north), foppish but deadly European aristocrats, a beautiful young girl raised by the above-mentioned pirates, and a prisoner who knows the location of a fabulously valuable gold mine. If that's not enough, how about a two-fisted protagonist who made a fortune in the Klondike and now roams the world in search of adventure and wrongs to right? Then there's his sidekick, a giant Indian who steps on his enemies' necks in order to break them. Throw in some sword fights, a lot of running around in those secret passages and tunnels, epic brawls like you'd find in movie serials from Republic Pictures, riding the rapids in canoes, and assorted other mayhem. How Seltzer overlooked a quicksand scene, I'll never know. 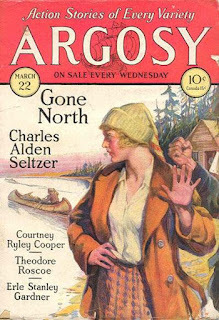 This novel appeared as a six-part serial in ARGOSY in March and April of 1930, and the readers must have been holding their breath from one installment to the next. 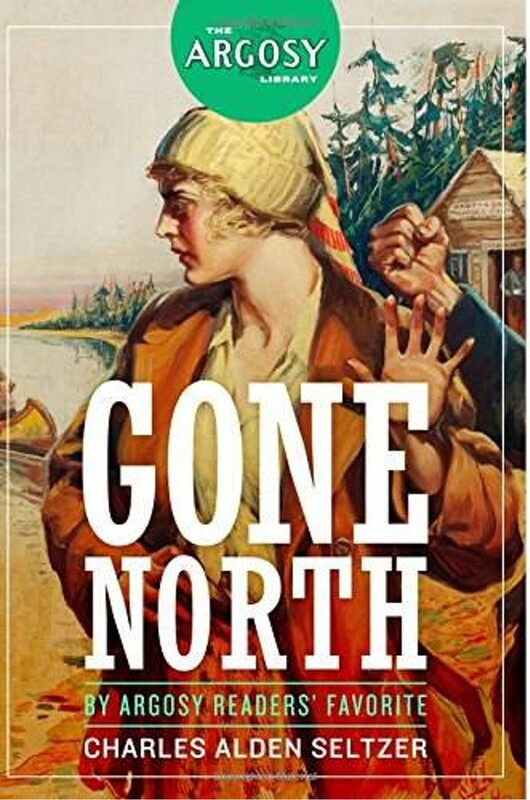 GONE NORTH is old-fashioned, sure, but it's also extremely entertaining if you're a fan of the adventure pulps. I loved it. It's exactly the sort of thing Ace Books would have reprinted in one of those small-size paperbacks in the early Sixties, and I would have read it on my parents' front porch on a summer day, utterly enthralled. It's hard to recapture that feeling now, but GONE NORTH does at times, and I'm grateful to Altus Press for bringing it back. 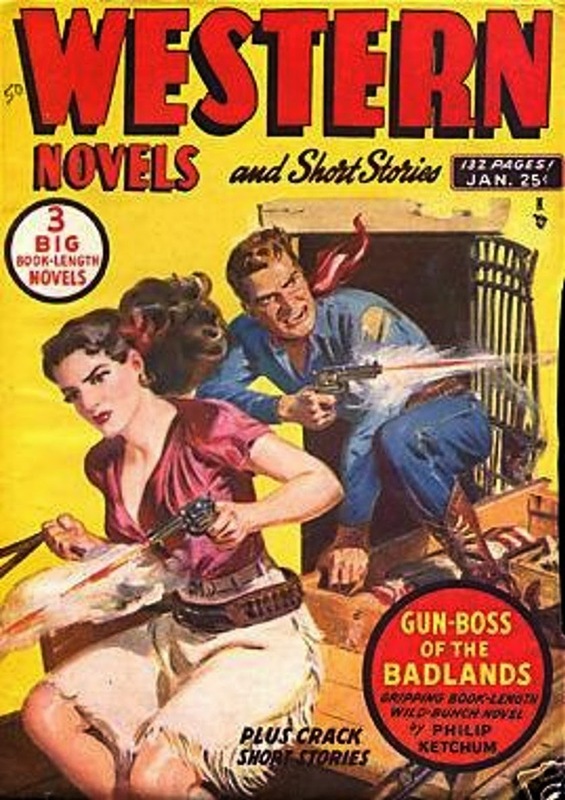 I've been wanting to read some of Charles Alden Seltzer's Westerns for a while. Now I want to even more. Most of you probably saw this years ago, so it's overlooked only in the sense that we didn't watch it until now. Because of that, I won't spend much time on the plot: good-hearted cop who lives in Queens (Nicolas Cage) promises a hard-luck waitress (Bridget Fonda) half of his potential winnings from a lottery ticket because he doesn't have the money to give her a tip. Complications ensue, mostly because of the cop's greedy wife (Rosie Perez). Human decency wins out in the end. I kept thinking this ought to be a remake of a Frank Capra movie starring Jimmy Stewart, because that's sure the way it plays. It's aggressively old-fashioned, right down to the music (David Rose's "Holiday for Strings" plays over one scene, making me flash back to all those evenings spent watching THE RED SKELTON SHOW with my parents when I was a kid). Nicolas Cage, in an understated performance for him, even seems now and then to be delivering his lines like Stewart would have. The rest of the cast, which includes a young Stanley Tucci, a not-young Red Buttons, and an oddly cast but effective Isaac Hayes, is good, too. IT COULD HAPPEN TO YOU (see, that's even a Capra-esque title) is very predictable, but it's also very good-hearted, and more and more that seems to be what I'm in the mood for these days. If you haven't seen it and feel the same way, check it out. Pirate stories were common in the pulps, and the featured story in this issue of THRILLING ADVENTURES looks like a pretty good one. Jack D'Arcy was really D.L. Champion, creator of The Phantom Detective and author of many pulp detective and adventure yarns. 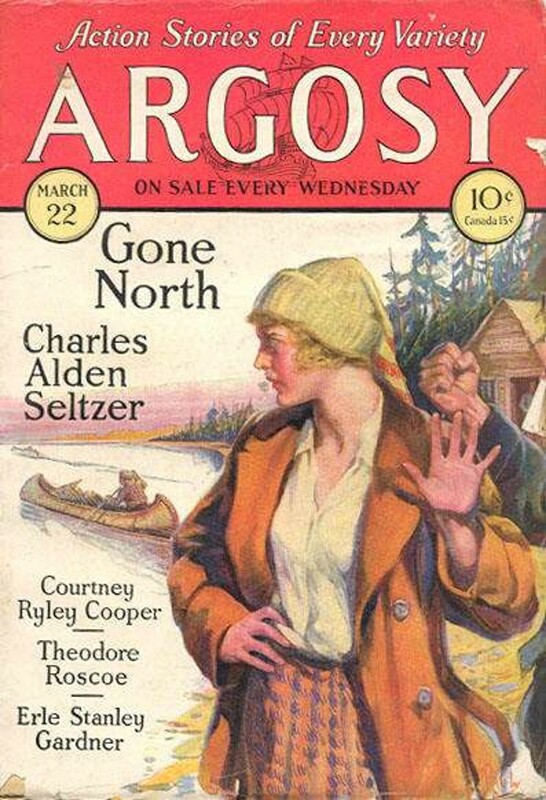 Other authors in this issue are G. Wayman Jones (a Thrilling Group house-name and the byline on the first few Phantom Detective novels, to bring up that character again), Malcolm Wheeler-Nicholson, Wayne Rogers, Perley Poore Sheehan, and Anthony M. Rud, all well-regarded writers in their day but long forgotten now except by the most devoted pulp fans. That looks like an H.W. Scott cover to me, and I know he did some work for Columbia around this time. 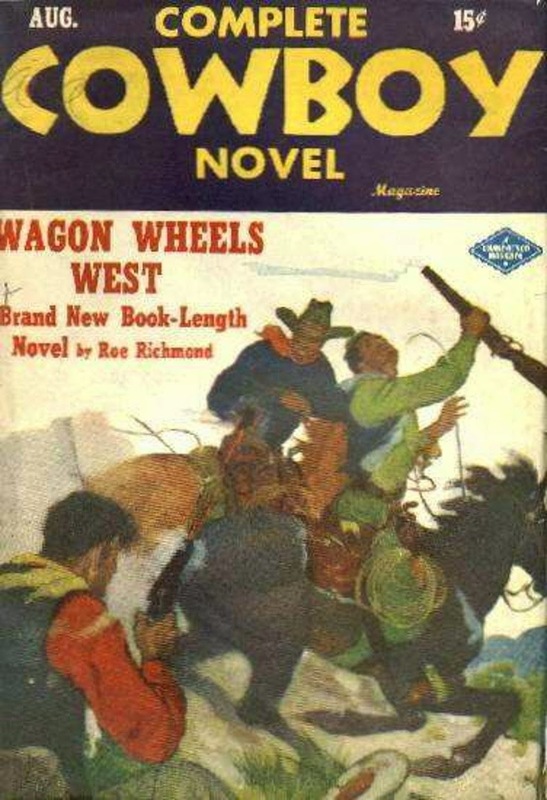 There are only four stories in this issue of COMPLETE COWBOY NOVEL MAGAZINE: the lead novel by Roe Richmond and short stories by Harold Preece, Richard Brister, and Chuck Martin, all decent writers. I don't care for Richmond's Jim Hatfield novels, but his stand-alone work is okay. 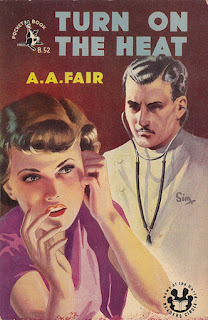 Ed Earl Repp is best known as a Western writer, of course (and these days, for Frank Bonham's marvelous autobiographical essay "Tarzana Nights", about ghosting for Repp), but he wrote a considerable amount of science fiction, too, from the early days of the genre up through the 1940s. This one certainly has some similarities to Repp's Westerns, since it's set in Death Valley and has a couple of old desert rats as supporting characters. The protagonist is astrophysicist Dave Weston, who as the story opens is searching in Death Valley for his missing father, also a scientist who was on the trail of a mysterious meteor that supposedly landed in those arid badlands. In the course of his search, Dave encounters a mysterious, beautiful blonde, tangles with an old enemy of his father's, and eventually uncovers a deadly secret in the Last Chance Mountains bordering Death Valley. There's plenty of two-fisted action along the way, and while nobody would ever accuse Repp's prose of being stylish, he knew how to keep a story clipping along at a nice pace. 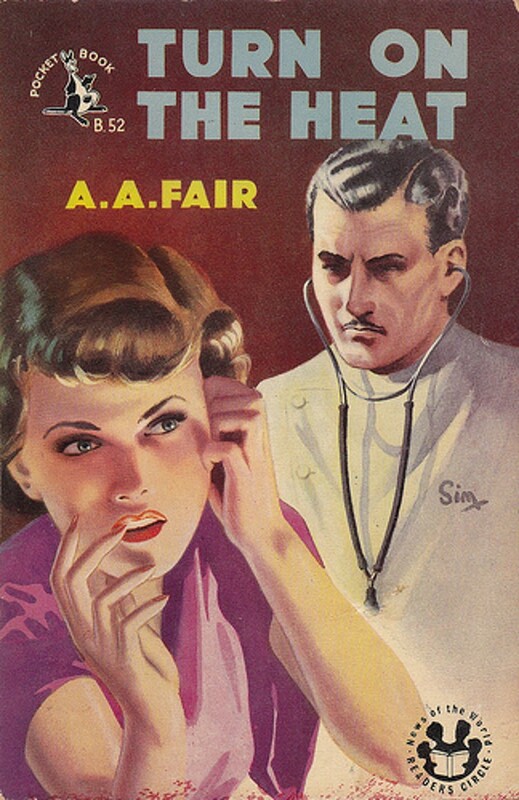 The science involved in the plot is pure handwavium, implausible even for the pulp era, but nobody reads this kind of SF story for the scientific speculation. It's an adventure yarn, and if I'd read it when I was ten years old, I probably would have thought it was one of the greatest stories ever written. At more than fifty years older than that, I still thought it was pretty entertaining. Of course, you can't write about one of Repp's stories without wondering if he really wrote it or farmed out the first draft to somebody else and just plotted and polished it. As far as I recall, I've never heard any rumors about his science fiction being ghosted, only his Westerns, so maybe he wrote SPAWN OF JUPITER. My hunch is that he did, but I can't prove that. Regardless of who really wrote it, if you can approach this one with the mindset of a ten-year-old just discovering science fiction, it's a fast-moving, enjoyable tale. Again and again, bodies are discovered near the summits of some of New Hampshire's most picturesque mountains, brutally murdered by an ingenious serial killer who moves around this scenic wilderness like a deadly phantom. With few if any clues to go on, state police detective Paul Talbot sets out to track down this vicious killer before more innocent people die at the hands of a lunatic! 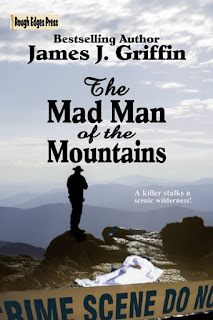 Acclaimed, bestselling historical novelist James J. Griffin makes a stunning debut as an author of contemporary thrillers with THE MAD MAN OF THE MOUNTAINS. 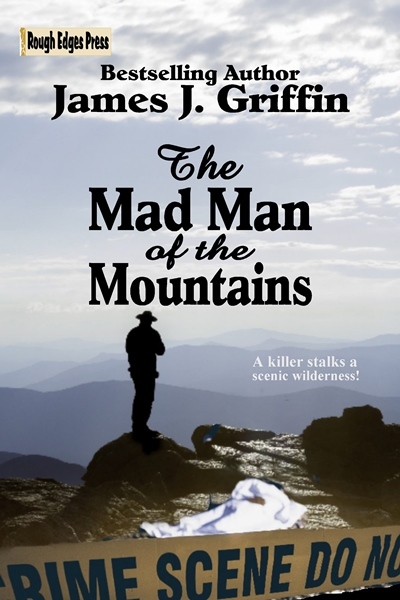 Fast-paced, populated with compelling, intriguing characters, and filled with fascinating police procedure and breathtaking suspense, THE MAD MAN OF THE MOUNTAINS is great reading! James J. Griffin has had four passions for most of his life: Horses, the United States West, the Texas Rangers, and New Hampshire. He has penned several series of Texas Ranger novels and stories. THE MAD MAN OF THE MOUNTAINS is his first Detective Paul Talbot novel. Griffin has spent many happy hours riding his horse through the forests and fields, and exploring the White Mountains. Some of his fondest memories are swimming in the Saco River at First and Second Irons in Bartlett, and trips to the summit of Mount Washington in all kinds of weather, from nice to horrendous. He has spent overnights on the summit, and made a wintertime trip to the top in the Observatory Sno-cat, in howling winds and near-blinding snow. He is a lifelong member of the Mount Washington Observatory, and contributed to the building fund for the Sherman Adams Building. A native New Englander, Jim is a member of Western Fictioneers and the Western Writers of America. He now makes his home in Keene, New Hampshire. This is another movie I’d never heard of. The description of it on Netflix makes it sound like a comedy, a parody of so many Fifties science fiction movies. The prologue reinforces that idea, setting up a framing sequence about how this is actually a movie made in 1957 that was thought to have been lost for the past fifty years. A little silliness ensues, and then the movie itself starts. 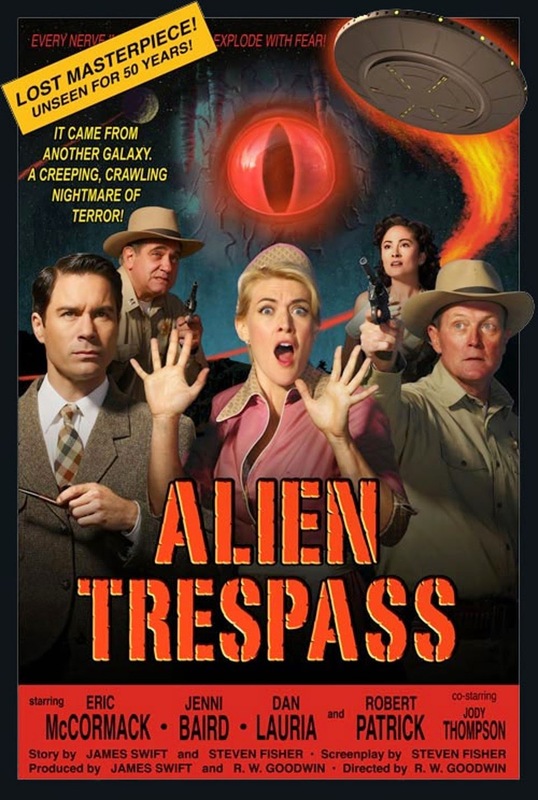 And as it plays out, you come to realize that although it has considerable humor in it, ALIEN TRESPASS isn’t a parody at all. Instead, it’s an affectionate, pitch-perfect homage to those low-budget sci-fi epics from the Fifties, complete with overacting, crude special effects, and a guy in a rubber suit playing a monster. If you watched those movies in the theaters or on TV growing up, you’ll recognize all the elements: the small town in the desert, the UFO crash-landing in the hills, the teenagers who are the first ones to see the monster, the skeptical cops, the local scientist (doesn’t every town have one?) who figures out what’s going on. Now here’s the strange part: even though you know this movie was made a couple of years ago, it’s hard not to get drawn into it and start taking it seriously, or at least as seriously as you’d take the same sort of movie if it had actually been made in 1957. It does that good a job of capturing the era. There are a few tiny details wrong, but blink and you’ll miss them, and they don’t really have any bearing on the plot. The biggest names in the cast are Eric McCormack from WILL & GRACE and Robert Patrick from THE UNIT and a ton of other stuff. Everyone does a good job, though, and they all seem to be having a wonderful time. ALIEN TRESPASS strikes me as a movie with an extremely narrow target audience. If you’re a viewer of a certain age and a certain temperament, there’s a good chance you’ll love it and find yourself grinning all the way through it. I did. I think it’s a wonderful film. But if you fall outside that range, you’ll probably start watching this and go “Huh? What is this?” So consider yourself warned when I recommend this one highly. 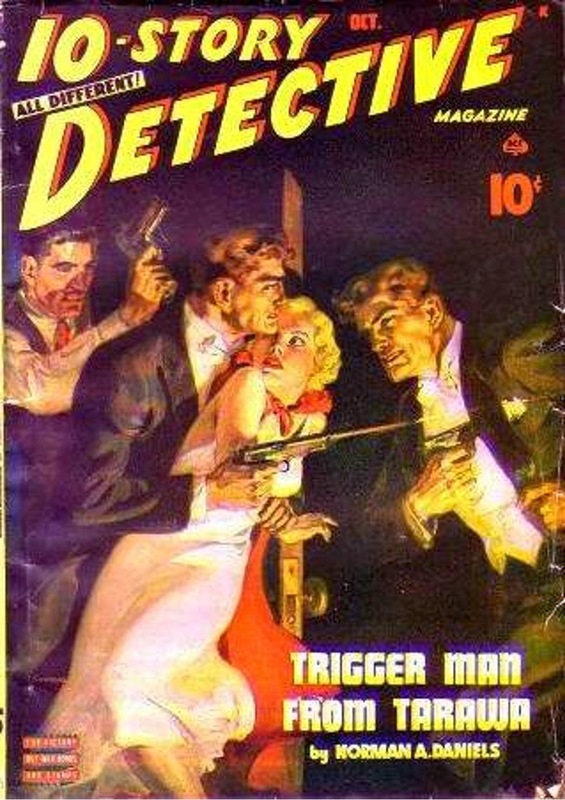 Another great Norman Saunders cover on this issue of 10-STORY DETECTIVE. His covers always have a lot going on, yet they never look crowded or busy. This one features a guy about to be clouted on the head from behind, something that shows up a lot on Saunders covers. Norman A. Daniels is probably the best known author in this issue. He also has a story under his David A. Norman pseudonym. Other authors include Joe Archibald and Emil Petaja. 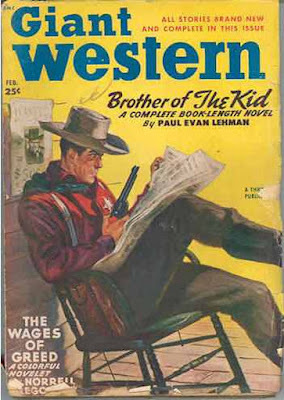 WESTERN NOVELS AND SHORT STORIES was a pretty good Western pulp. This one has a nice action cover and stories by Matt Stuart (who was really one of my favorites, L.P. Holmes), Philip Ketchum, H.A. De Rosso, Giles A. Lutz, and Frank Castle. That's a solid group of writers. Today is my birthday, so I thought I'd write about one of my own books for a change. It's certainly forgotten, being the first book in a short-lived series from a publisher that's long since defunct. THE IRON HORSE launched the Faraday series, which was packaged by Book Creations Inc. and created by one of my editors there, Paul Block. The publisher was Lynx Books. The concept was that the stories would center around railroad detectives who worked for an agency headed up by Matthew Faraday, who in my mind always looked like Randolph Scott, although on this cover he looks more like Ted Knight from THE MARY TYLER MOORE SHOW. 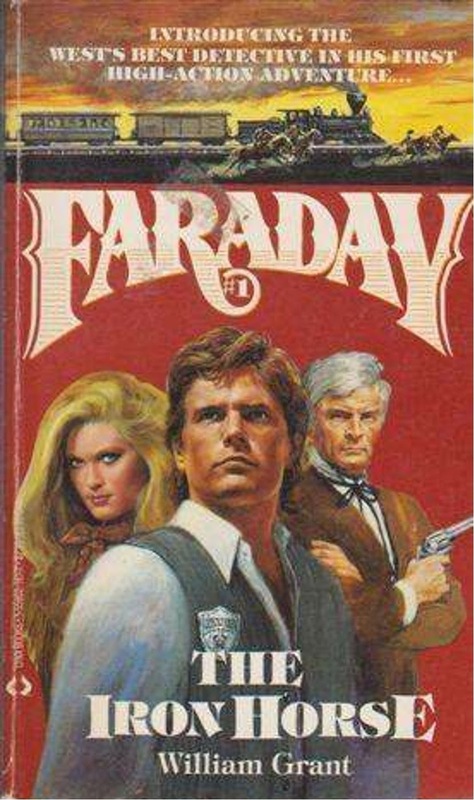 These agents would be the actual heroes of the books, with Faraday serving more as a mentor and supervisor. I remember very little about the plot of this one. It had something to do with some villains sabotaging the construction of a railroad. The hero looked like Audie Murphy, at least in my head. There was an old scout/buffalo hunter who wasn't old enough and whiskery enough to be a Gabby Hayes character. More like Ben Johnson. There was a lot of ridin' and shootin', a little romance, and the good guys won in the end. What can I say? It was more than 25 years ago, and I've written a lot of books since then. I recall that I enjoyed the book and thought it turned out pretty well. There are cheap copies available on-line if you want to judge for yourself. THE IRON HORSE is the only Faraday novel I wrote. Paul Block, who was a writer as well as an editor for BCI, wrote the second one. Robert Vaughan wrote a couple, as did Bill Crider. Only one of Bill's was published, since Lynx Books collapsed unexpectedly. I've heard that Chet Cunningham also wrote one that went unpublished, but I don't know if that's true. The business was a lot different in those days, but it was fun, too. Government investigator Dev Mallory is on the trail of a gang of counterfeiters so audacious that their scheme could make the nation's economy collapse. But what Dev finds in Denver is a tangled web of murder, deceit, and a threat from his own checkered past. Sorting it out will take him on a harrowing journey that risks not only his life but also his soul! 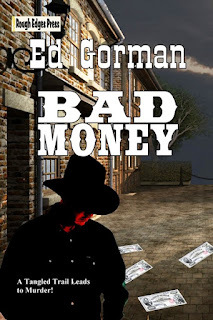 BAD MONEY is a compelling historical mystery from award-winning author Ed Gorman. See for yourself why Gorman is acclaimed as one of today's top writers of Westerns, mysteries, and novels of dark suspense. It's the wildest BLAZE! adventure yet, as J.D. and Kate investigate the mysterious death of a mine owner and find themselves facing a danger unlike any they've ever encountered. 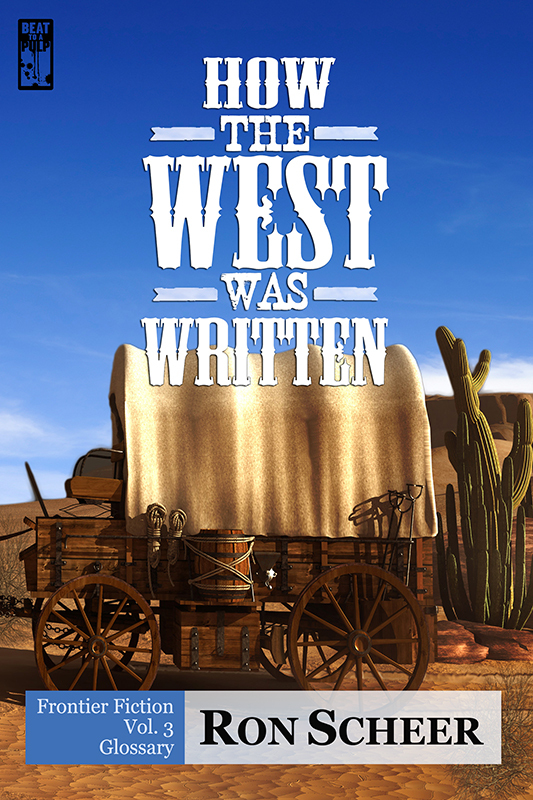 From bloodthirsty outlaws to cold-blooded killers to marauding Indians, they thought they had seen it all—but the looming castle atop a ridge near the settlement of Yonder, Arizona, holds something new and deadly. It's the Old West's only team of husband-and-wife gunfighters versus a sinister count and his walking dead minions—and hot lead may not be enough to stop them! 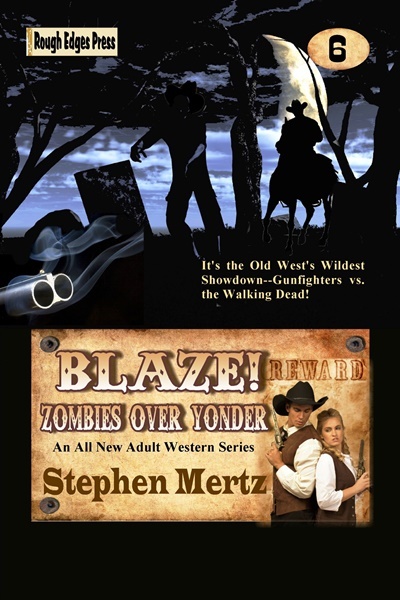 Legendary action writer Stephen Mertz spins a fast-paced yarn filled with suspense, horror, and non-stop action in ZOMBIES OVER YONDER! 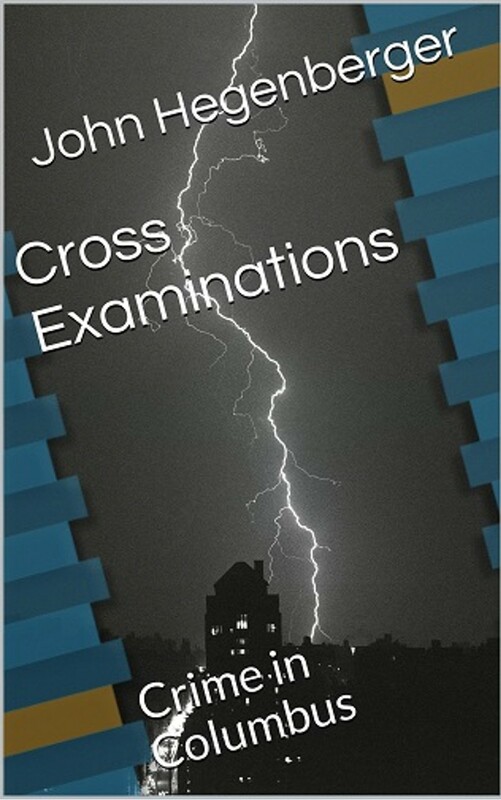 Eliot Cross is a private detective in Columbus, Ohio, in this collection of linked novelettes set in 1988. This is first-person private eye fiction in the classic mode, and done very well, too. The cases Cross takes on involve a burglar trap turned deadly, a politician's missing relative, kidnapping, and of course murder. My favorite story in the book centers around a comic book convention and features a dying message much like the ones that crop up in Ellery Queen yarns. John Hegenberger's writing reminds me quite a bit of Robert Bloch's. There's the same sense of playfulness, tempered by some underlying themes that are pretty dark. 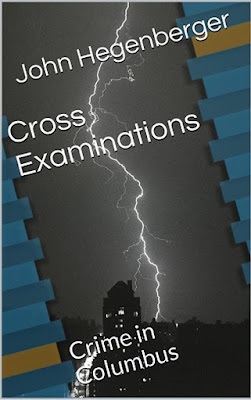 CROSS EXAMINATIONS: CRIME IN COLUMBUS is a very entertaining book, and I'm glad to know that Eliot Cross will be having more adventures in the future. I'm looking forward to reading them. 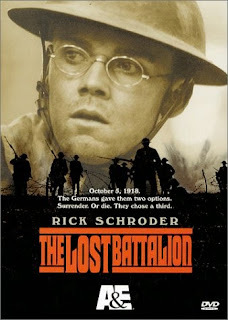 I enjoy a good war movie every now and then, and THE LOST BATTALION fits the bill. Made for the A&E cable network, it’s based on the true story of an American battalion that gets cut off from the rest of the American forces during an advance into the Argonne forest during World War I. Almost completely surrounded by the Germans, the Americans resolve to hold their position until help arrives, which takes days. Outnumbered, starving, without medical supplies, the odds are against any of them surviving. In classic war movie fashion, THE LOST BATTALION introduces us to about a dozen of the soldiers, most of them from New York but some from Texas and Montana as well. Most of them are “citizen soldiers”, who were either drafted or enlisted to fight, not career military. Their commander, a lawyer in civilian life played by Rick Shroeder, fits into this category, too, and struggles to become a respected leader. You know going in (at least you do if you’ve ever watched many war movies) that not all of them are going to make it, but this grim, gritty film directed by Russell Mulcahy makes their life-and-death struggle very interesting. With its unrelenting air of doom, I’m not sure I’d say that THE LOST BATTALION is an entertaining film, but it’s very well-done (other than some shaky camerawork I didn’t like) and I think it’s a movie that’s well worth watching. The Netherlands in the 16th Century is wracked by civil and religious strife, but all Greta wants is to be left alone to run her tavern. The most dire prophecies of doom come true when the dead rise from their graves and set out on an apocalyptic campaign of terror, slaughtering everything in their path. Cast down into Hell still alive, with unlikely allies such as Christopher Marlowe and the Archangel Michael, armed with a sword and her trusty skillet, Greta sets out to do battle with hordes of demons, imps, and ultimately Satan himself. 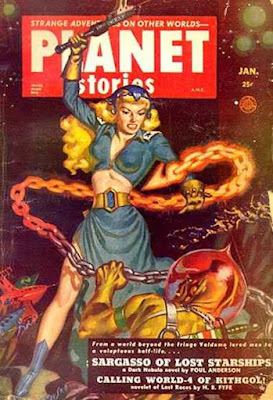 No one but Greta would be crazy enough to try to conquer Hell! 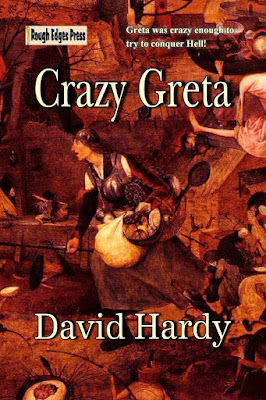 Inspired by the paintings of Brueghel and Bosch, this historical horror/fantasy novel by acclaimed author David Hardy is full of vivid imagery, compelling characters, and a towering, unstoppable protagonist in Crazy Greta. This is an unforgettable novel about the never-ending battle between Heaven and Hell and the depraved depths and heroic heights of humanity. David Hardy is the author of the novel PALMETTO EMPIRE and BROTHERS BY THE GUN AND OTHER TALES OF SAMARIA, KANSAS, as well as many other works of historical fiction. He lives in Austin, Texas.